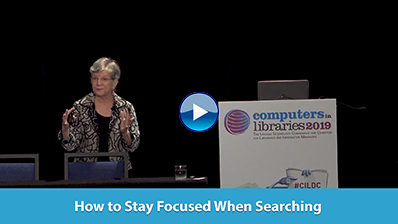 Start out your WebSearch University experience a day early. Join us for preconference workshops. We have four great half-day sessions for you to choose from that will serve as a baseline for the next 2-days at WebSearch University! Choose from these two exciting workshops in the afternoon: “Channel You Inner Nancy Drew: Public Records Research Online” with Bridget Gilhool & Jennifer McMahan or learn “Negotiating Skills for Information Professionals” with Michael Gruenberg! On July 30, House Speaker John Boehner (R-Ohio) and Majority Leader Eric Cantor (R-Va.) announced that the House of Representatives is making the United States Code available for download in XML format. The U.S. Code has been available online, but not always up-to-date, in an easily accessible format (for online viewing or download). With the release of an XML format, the public can expect developers to create apps to view and analyze legislative data in new and exciting ways. Chegg just released a redesigned version of its mobile app for etextbook readings. The app, which is available for Apple and Android devices, has more than 2.5 million guided solutions to help students answer problem sets and question sections in textbooks. Solution topics so far include math, science, engineering, and business. The MIT Press, in partnership with Oxford University Press' full-text monograph library Oxford Scholarship Online, is launching MIT Press Scholarship Online. MIT Press Scholarship Online, which is a database of XML-enabled titles from MIT Press, will be hosted on the University Press Scholarship Online (UPSO) platform beginning this month. Get your remote ready—there's a new channel in TV land. Al Jazeera America, the U.S.-based news channel from the Al Jazeera Media Network, premiered recently as a hub for national and international news programs, documentaries, and discussions. Al Jazeera America's website promises "unbiased, fact-based and in-depth" reporting "that gets you closer to the people at the heart of the news." In the era of user-generated content, anyone can write a book and get it published, whether it's on librarianship, Big Data, or data scientists. There are dozens of companies to help authors find the right editorial services, design assistance, printing, marketing, and distribution for their works. These days, authors don't need a huge publishing house. One of the best ways to get published and get involved in the process is to sign up with a do-it-yourself (DIY) publisher. Be prepared: Though these publishers charge authors for specific services, you'll still end up doing most of the work yourself. But on the plus side, you'll retain creative control of your book.